As Snapchat takes a step backwards, does it have a future in sports marketing? With less of an audience on Snapchat these days, some sports marketers are de-emphasizing the platform. But it still has a bunch of sports deals. There was a time when a lot of people fully expected Snapchat to leave Instagram and Twitter in the dust. Every year seemed to show a boom in usage, growing from 46 million users in 2014 to 191 million by the first quarter of 2018. That’s still a ways off from Twitter’s announced 336 million monthly active users in the first quarter of 2018, but it certainly looked like natural progression would get Snap there soon enough, especially as younger users abandoned Twitter and Facebook to their parents for services like Snapchat. However, that daily active user count fell to 186 million by the end of Q3 2018. What happened? Well, it could be a slew of reasons. Facebook and Instagram basically copy every new service that Snapchat comes up with to the point where users don’t feel the need to switch services. Snap has also run up against user pushback recently, like when they revised the app and over 1.2 million people signed a Change.org petition asking them to reverse it. And as for Snap’s closest rival, Instagram, they’ve got over one billion active users and the backing of Facebook, so good luck going up against that. Snapchat certainly isn’t going anywhere yet, but the stagnation has caused a few companies and users to look around and wonder whether or not they need to be here. Front Office Sports’ Joe Londergan zeroed in on the world of sports marketing where schools and franchises are constantly fighting for their slice of the social media pie. 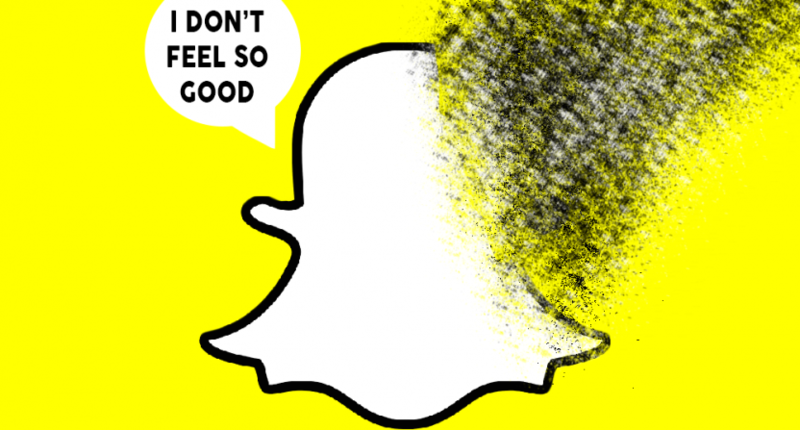 His question…will Snapchat still be of much use to sports marketers in the year ahead or will it start to go the way of Friendster and MySpace before it? Londergan spoke with Ryan Vooris, an associate sports management professor at SUNY Cortland, who explained why the big three (Twitter Facebook, and Instagram) have such a leg-up on Snap. However, some marketers told Londergan that they still see a lot of good opportunities in Snapchat. Rachael Caldwell, the digital media coordinator at Colorado State University, said that it offers yet another free platform to reach fans. “We do have a follower base that we built there for free and they’re looking at the content that we’re putting out and gaining an affinity for our brand.” However, she did note that while Snapchat is still a part of their social media process, “just maybe not as big of a role as we had seen in the past because of the rise of Instagram stories.” She also noted that Snapchat is limited to content that is “not produced,” whereas that kind of polished work will go on Instagram or other outlets. That raw, behind-the-scenes potential is what Snapchat is likely to continue offering to teams and schools from a social standpoint. And they are certainly not going gently into that good night, even if their numbers are dipping. Nick Bell, VP of content for Snapchat, recently told the audience at Advertising Week New York that “over 17 million people a month tune in to SportsCenter on Snap” and that “of the 2.5 million people that watch every single day, 70 percent of those come back at least three times a week.” ESPN seemed thrilled with the numbers on their end as well back in June, 75 percent of that audience are teens or young adults. The company has also signed deals with the NFL and NBC in order to promote NFL and Premier League soccer, respectively. The NFL has noted that 52 million people watched the NFL’s Snapchat content. So the jury is still out on Snapchat’s role in the world of sports marketing. They’ve certainly proven that they can draw an audience, but the question remains as to whether or not there is value in that audience for teams, schools, and broadcasters. Do all those gaudy numbers correlate to higher ratings, better attendance, or more merchandise sales? That remains to be seen, as does Snapchat’s long-term viability in the world of sports and beyond.